Science and technology played a key role in World War One. 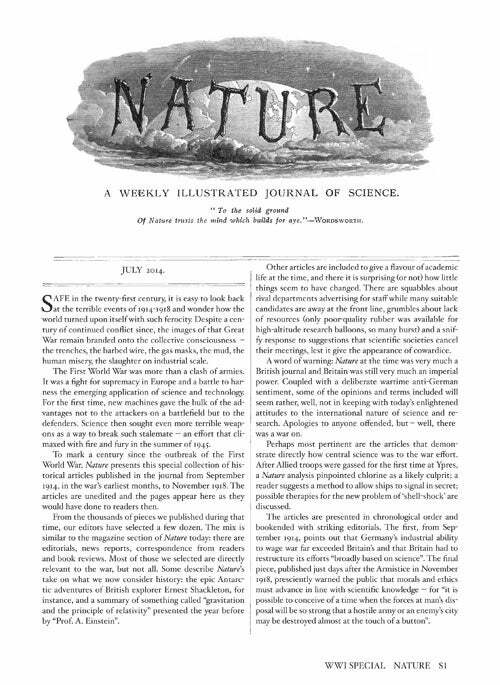 A century later, a selection of articles from our archive reveals how Nature reported and analyzed these developments at the time. From early analysis of chemical weapons to countering the threat of Zeppelin raids, this anniversary package offers unique insight to research during conflict. Purchase and download this exclusive PDF for only $1.99.